WILMINGTON, Del.—It’s unusual for a documentary film to tour the film festival circuit for over a year, and, if lucky, to show on movie screens for longer than a few weeks after its theatrical release. But there’s at least one documentary film out there that is defying conventional film distribution practices. Since its film festival run in April 2012 and it’s theatrical release in June 2013, “Free China: The Courage to Believe” has been screened in over 20 countries—in every continent, apart from Antarctica—more than 1450 times, and counting. Most recently, American Insight’s Free Speech Festival in association with the Delaware Humanities Forum screened the documentary in in Wilmington, Delaware on March 25. The screening was bookmarked by special guest speakers Hon. David Kilgour, former Canadian Secretary of State (Asia Pacific Region) and Dr. Samuel Zhou, Deputy Director, Global Internet Freedom Consortium, and a Q & A session afterwards with the producer, Kean Wong. The film exposes some very grueling issues happening in China today, with worldwide repercussions, such as suppression of speech, slave labor, and torture, to name a few. While those are difficult issues to face, “Free China” not only exposes them in a palatable way, but also gives a call to action, which includes organizing screenings. 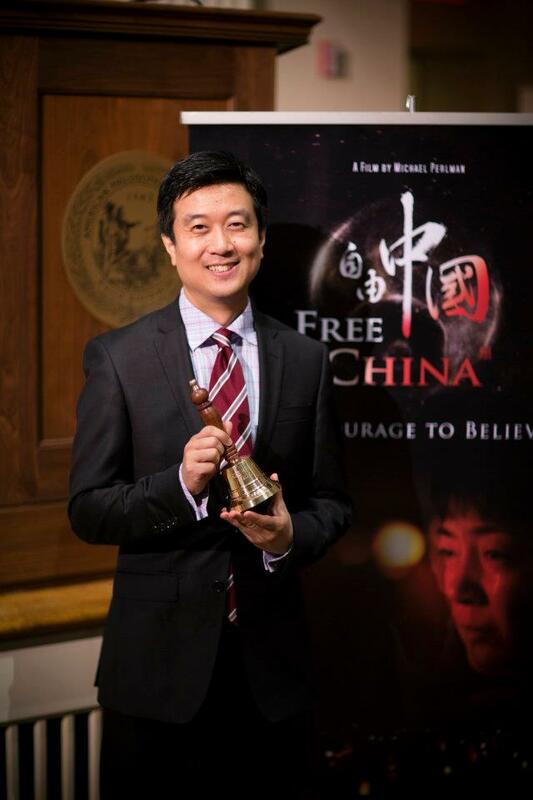 The goal of producer, Kean Wong and Director Michael Perlman is to further strengthen a grass roots campaign for the title of the film, “Free China” to become reality—that is, to free the world’s largest a nation of 1.3 billion people from a brutal dictatorship. The true story is told through the eyes of a mother and former Chinese Communist Party member, Jennifer Zeng, who is forced to recant her beliefs and a Chinese American businessman who attempted to broadcast uncensored information on Chinese state-controlled television, Dr. Charles Lee. Both practice Falun Gong, a spiritual discipline the Chinese Communist Party has been cracking down on for over 15 years to the extent of even systematically killing Falun Gong practitioners, and other prisoners of conscience, for their organs for an illicit transplant trade. 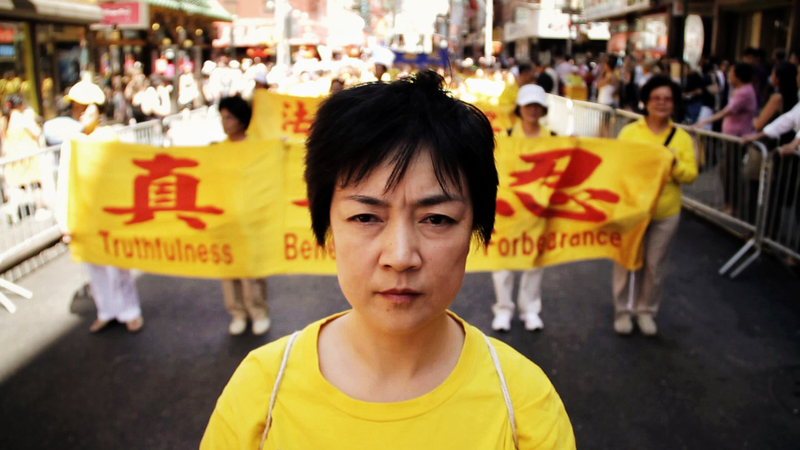 A movie still of “Free China: The Courage to Believe” showing Jennifer Zeng at a human rights parade in New York . (NTD Television). In the film Jennifer Zeng recounts the physical and mental torture she endured and the anguish she went through after recanting her beliefs so that she could escape China and expose the Chinese regime’s persecution. The film climaxes with her giving a chilling speech on Capital Hill about freedom of speech. “People can really respond when they hear a story about a big issue but told through the prism of two very individual people who are compelling and have an extraordinary story and who are so good at telling the story. It really does make it all that more powerful,” Curry said. The award-winning documentary was the winner of the First Free Speech Film Festival in 2012 run by American Insight Inc. a non-profit organization founded by Margaret Chew Barringer. Ms. Barringer introduced Free China at the Delaware screening by announcing that the principle of free speech in the United States traces its origins of the Rule of Law back to the signing of England’s Magna Carta 800 years ago. Freedom of all the things that the film is talking about all relate back to freedom of speech. According to the Executive Director of Delaware Humanities Forum, Marilyn P. Whittington, freedom of speech is a matter of degrees. In China the degree is dramatically narrower than elsewhere. In the mean time as Free China continues being shown around the world and gathers more support in its www.HelpFreeChina.com campaign, that degree of freedom can be widened, broadened across oceans. 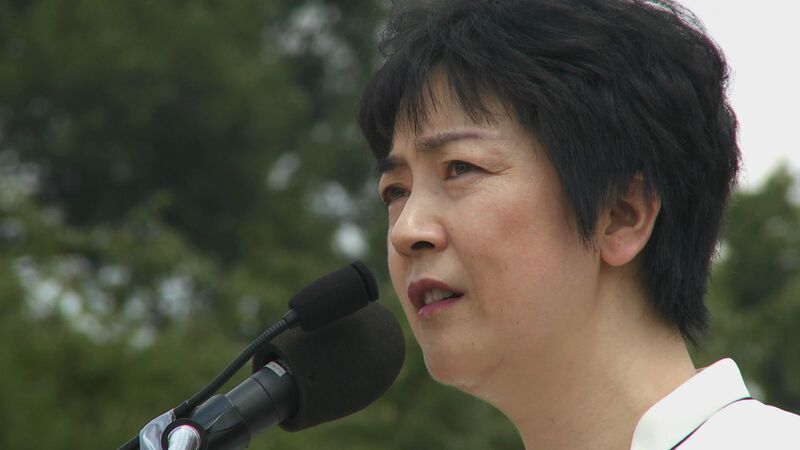 “Free China: The Courage to Believe” can be watched online. Viewers are rewarded for sharing the film online via its website. 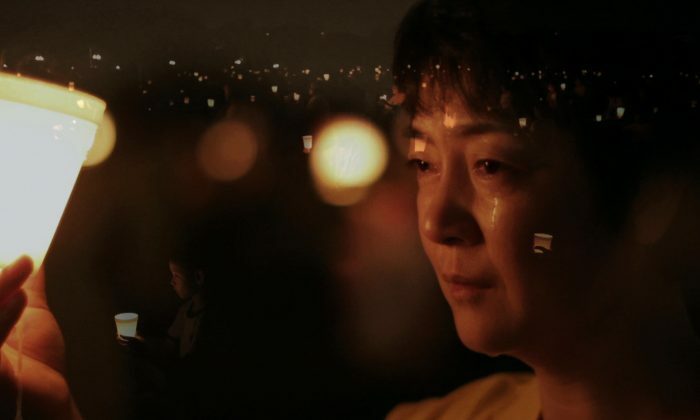 A documentary film about modern China that is both horrifying and deeply inspirational moved audience members to tears on Tuesday evening. 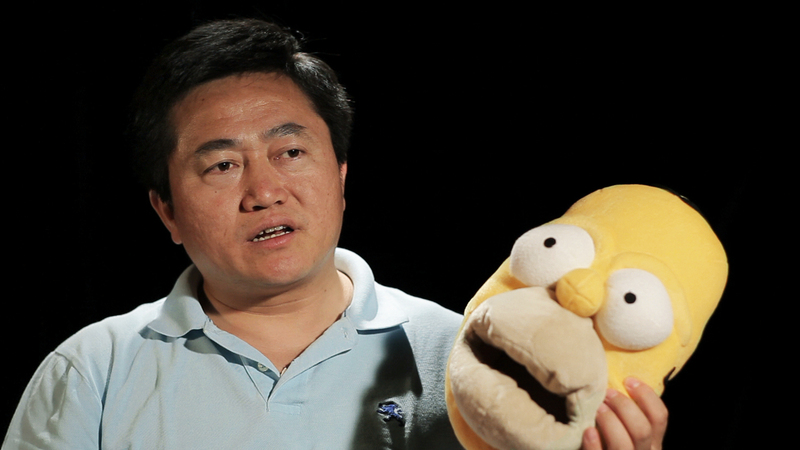 A documentary about rights abuses in China is being broadcast into the mainland by satellite.